Motorpsycho - "Black Hole/Black Canvas"
This is the first new Motorpsycho studio CD in almost 4 years. The band has a new drummer and a vibraphone player and no information has been leaked out about the CD and no interviews were conducted. So what do we get on this beautifully packed double CD?? We get classic upbeat Motorpsycho with a bit more raw sound production and heavy bass. It rocks more and is less commercial in someways but still retains that odd MP pop sensibility that is uniquely Motorpsycho. I have never been a fan of their later day studio CDs (but I never miss their live concerts!) and here they deliver a package of cool tracks of which a few are quite stretched out and adventurous, but most are straight up rockers with some really cool lyrics. The true fans will dig this stuff for sure. The packaging on the deluxe CD version is really awesome and the lyrics are great as well. 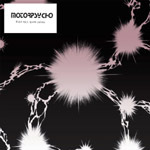 For more information you can visit the Motorpsycho web site at: http://motorpsycho.fix.no. Visit the Stickman Records web site at: http://www.stickman-records.de.